OPI therapy can be useful for treatment of locomotor apparatus diseases, such as osteoarthritis, arthritis, osteomyelitis, and dorsopathy, as well as skin diseases, such as atrophic scar (post acne), alopecia, trophic ulcer, and eczema. Main benefits and advantages of OPI therapy. Combines the effects of three clinically proven treatments in a single formulation. Leads to the development of long-term analgetic, anti-inflammatory and regenerative clinical effects. Results in a significant decrease in the prescription drug dosage. Is characterized by small invasiveness of treatment, as well as absence of both serious side effects and absolute contraindications. Requires just a single blood sampling and incorporates the possibility of optimizing the treatment regimen for each individual patient. Filling bone defects after removal оsteomyelitis sequesters remains an important issue. Various compression devices used for this purpose have shown satisfactory results in some cases. However, such treatment requires much time and should be carried out in a hospital environment. 1 patient with osteomyelitis of sternum. X-ray examination showed that osteomyelitic cavities were reduced (signs of bone healing), and no signs of disease relapse were observed in 15 patients, suggesting that cell transplantation technology could be very effective for treating patients with osteomyelitis. 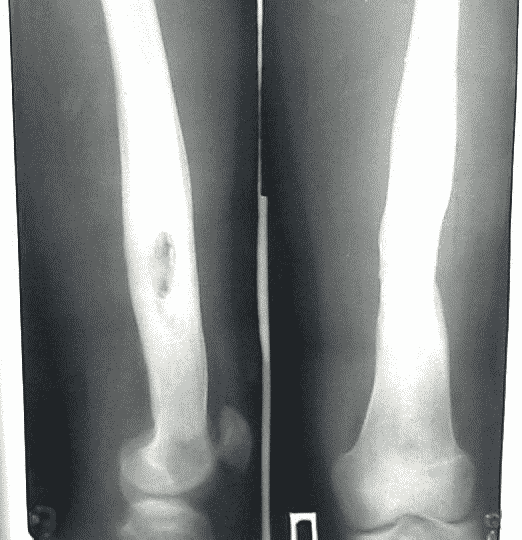 A 40 year-old female patient underwent metal osteosynthesis due to fracture of the left femur, with subsequent development of posttraumatic osteomyelitis. 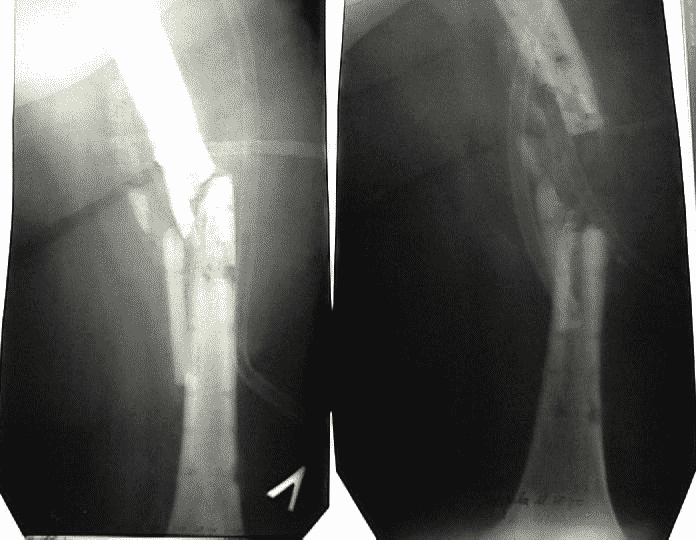 Metal plate was removed and a framed structure was applied, however a necrotizing 15 sm focus (sequestration) developed in the shaft of femur (Figure 1, left image). This focus was resected (Figure 1, right image) and bone defect was closed with cell implant. Subsequent repeated cell transplantation procedures resulted in the secondary clavus formation (Figure 2), which enabled the patient to walk with orthosis. 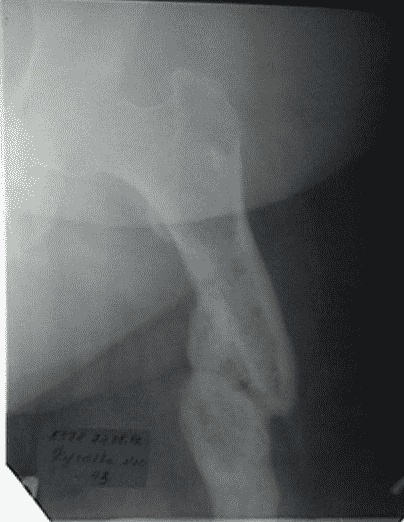 A 18 year-old male patient P was subjected to sequestrectomy to resolve hematogenous osteomyelitis of the right femur, which led to the formation of a cavity with fistula within the bone defect (Figure 3). 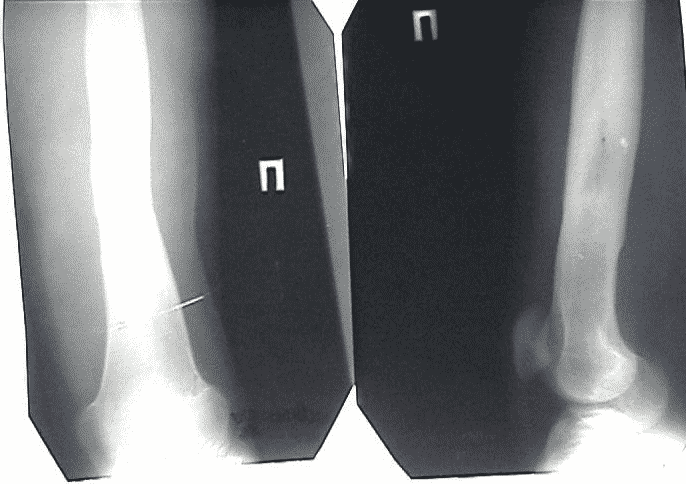 After several cell implantations, the bone defect closed (Figure 4), the patient could walk without aid and had no complains. 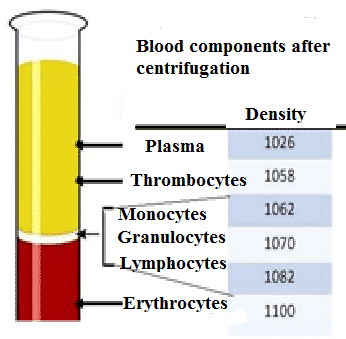 Distribution, recovery and concentration of platelets and leukocytes in L-PRP prepared by centrifugation. Platelet-rich plasma: combinational treatment modalities for musculoskeletal conditions. Andia I, Abate M. Front Med. 2017 Oct 18. doi: 10.1007/s11684-017-0551-6. [Epub ahead of print] Review. The contribution of leucocytes to the antimicrobial activity of platelet-rich plasma preparations: a systematic review. Comparative evaluation of leukocyte- and platelet-rich plasma and pure platelet-rich plasma for cartilage regeneration. Xu Z, Yin W, Zhang Y, Qi X, Chen Y, Xie X, Zhang C. Sci Rep. 2017 Mar 7;7:43301. doi: 10.1038/srep43301. Tissue-protective cytokines: structure and evolution. Ghezzi P, Conklin D. Methods Mol Biol. 2013;982:43-58. doi: 10.1007/978-1-62703-308-4_3.